RIVERSIDE KING (1-3 overall) has continued to schedule tough nonleague opponents to prepare for its brutal Big VIII League schedule, but the results aren’t changing. The Wolves have allowed 121 points in their three losses while scoring a deceiving 47-7 win over Riverside Poly in a Week 3 rivalry game. 6-foot-5 senior QB Brad Kleven is the man this season, but a lack of a supporting cast continues to stagnate the offense. Senior lineman Kyle Krepsz stands out on a weekly basis, is a sure Division 1 talent. 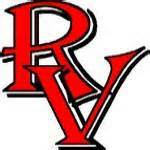 MoVAL RANCHO VERDE (3-1 overall) lost its season opener but won three consecutive before taking Week 4 off. The Mustangs totaled 133 points in those three victories – including a 35-24 win over Perris Citrus Hill in Week 3 – and look to be back to the program that can score with the best. 6-foot-2 senior QB E.J. Stewart gets tons of respect for his competitiveness and capacity to extend plays. Senior MLB Tevita Halalilo is a big-time stopper who will get his chance to play on Saturdays. Riverside King — QB Brad Kleven, Sr. (6-foot-5, 210 pounds); RB Jordan Murry, Soph. (5-11, 150); WR/CB Jarrod Favors, Sr. (6-3, 185); Chris Venable, Jr. (6-1, 185); C/G Kyle Krepsz, Sr. (6-3, 285); G/DT Clarence Dodson, Sr. (6-2, 240); MLB Jacob Sylvester, Sr. (5-10, 205); OLB Brad Garza, Sr. (6-3, 235); CB/WR Joshua Fisher, Sr. (5-10, 160); K Mason Mapes, Jr. (6-3, 160). MoVal Rancho Verde — QB E.J. Stewart., Sr. (6-foot-1, 188 pounds); RB/OLB Marlon Moorer, Sr. (5-10, 200); WR/FS Bryan Thompson, Sr. (6-3, 185); WR/CB Tyler Kennedy, Sr. (5-8, 160); WR Jasiah Richard-Lewis, Jr. (5-11, 170); OL/DL Garrett Bethel II, Sr. (6-3, 245); MLB Tevita Halalilo, Sr. (6-2, 245); CB Henry Banks, Sr. (5-10, 170); K Alfredo Moreira, Sr. (5-6, 135). Rancho Verde can score more points because the Mustangs specialize in big plays, whereas King’s offense often gets in its own way.